Product #46737 | SKU 21431 | 0.0 (no ratings yet) Thanks for your rating! The K&M 21431 Mini Boom Arm is adjustable in length and attaches to microphone stands, providing added reach and overhead microphone positioning. The unique singe piece design is made of steel construction for maximum durability. 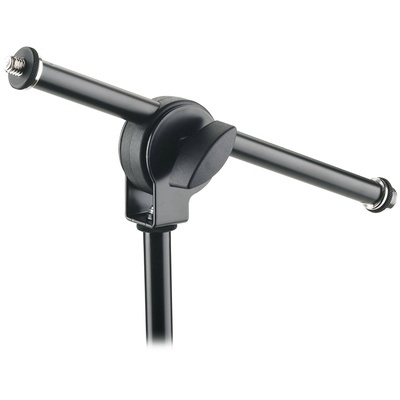 The K&M 21431 Mini Boom Arm is an ideal choice for drum overhead microphones.